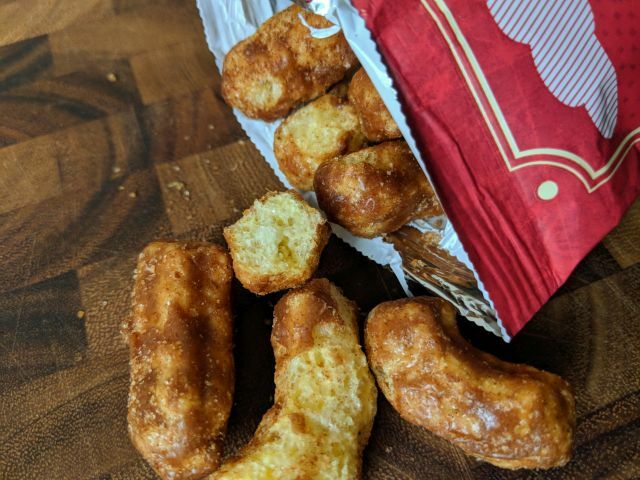 Trader Joe's Churro Bites feature crispy baked corn puffs coated with a combination of cinnamon and brown sugar. A 7-oz bag cost me $2.49. 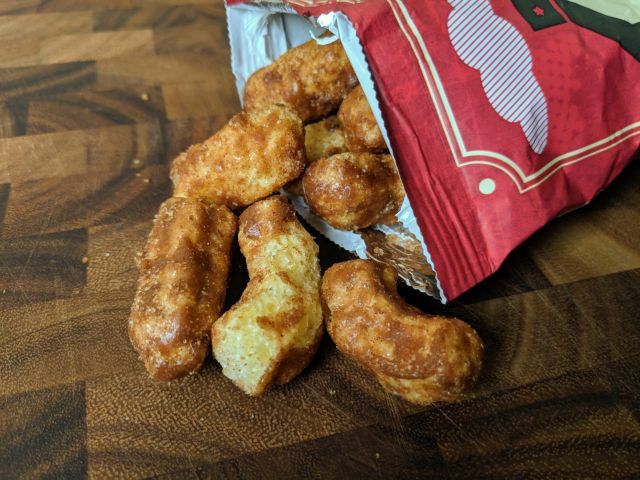 These feel like a baked version of Cheetos corn puffs (minus the salt and cheese) covered in a crunchy coat of cinnamon and brown sugar. like a thin toffee (with that same slight stickiness). The coat has that darker but not quite caramel quality of brown sugar tinged with cinnamon. It makes for a very enjoyable combination. A sprinkling of cinnamon sugar enhances the effect and also lends more of a churro feel. 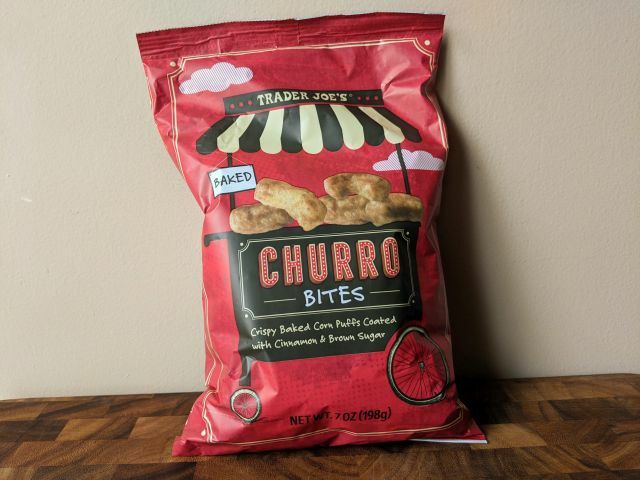 Overall, Trader Joe's Churro Bites are really good and definitely worth a try if you think you'd like the cinnamon-sugar of a Churro paired with a puffed corn snack and a substantial crunch.